At the Colorado Conservatory of Dance, we place the highest value on our dancers’ health and well-being. Our in-house Wellness Center provides students with exceptional care for body and mind. Shannon will be at CCD every other week on either Monday or Thursday. To schedule appointments, please visit or call the front desk. Shannon Wright, LMT, graduated from Mecca School of Massage in Indianapolis, Indiana in 2012. Before moving to Colorado, he intentionally kept a small clientele, which allowed him to maintain a true focus on his clients’ needs by tailoring each massage using an integrative approach with modalities including Deep Tissue Massage, Sports Massage, Swedish, Craniosacral, Reflexology, Myofascial Release, Lymphatic Massage, Prenatal, Trigger Point Therapy. 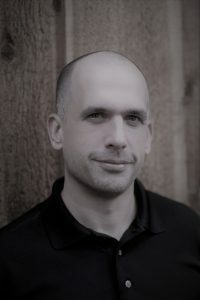 His comprehensive approach to his clients’ health and wellness creates a massage that is relaxing to the mind and body. He is thoughtful in his practice, providing a great balance of relaxation and pain relief. He enjoys being a part of his clients’ journey, whether it is to provide relaxation, create a healing regimen for athletes or simply aid in the recovery of the weekend warrior. He is constantly building knowledge through continued education and from the experiences of those around him.